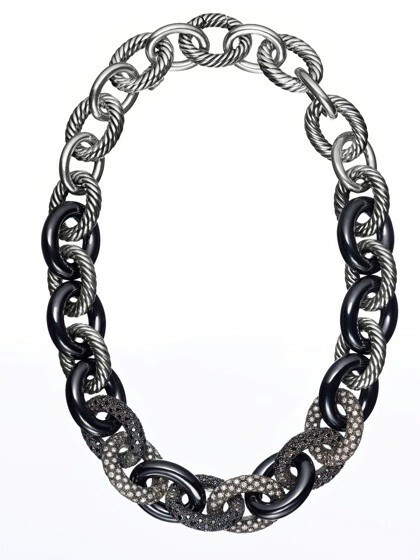 David Yurman has unveiled its Midnight Mélange collection, a re-interpretation of the brand’s signature spiraled cable with pave diamonds. 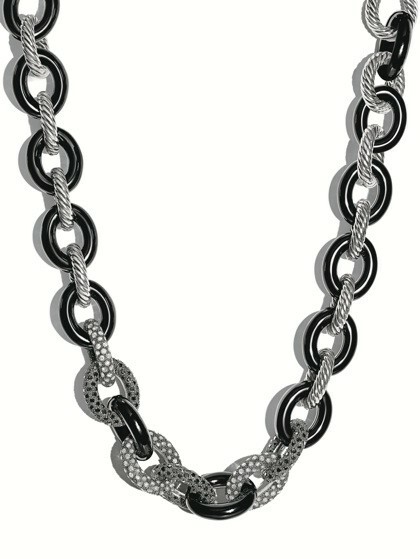 Headlining the new line is the Mélange Chain Link Necklace which is made from sterling silver and features starlight diamond stations and black ceramic. Elsewhere you’ll find a chain link bracelet, hoop earrings and stackable rings, as well as cuffs and bangles in sterling silver or 18K gold. 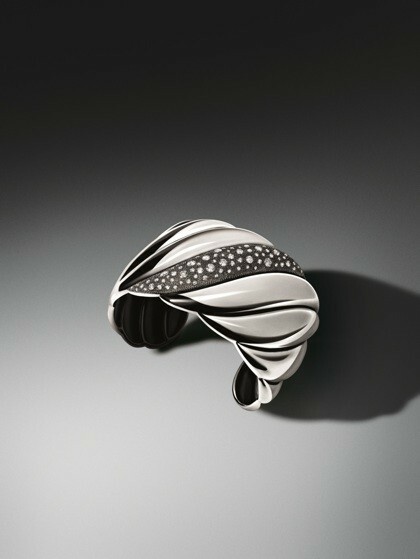 All pave white and black diamonds in the collection are set against blackened rhodium.